With Amazon’s New York HQ2 office dead on arrival and its Seattle plans uncertain, all those jobs have to go somewhere. Now Bellevue — Amazon’s original birthplace— is starting to look like the company’s real HQ2. Seattle could pull a Detroit. Force businesses to the suburbs then wonder why the city declines. There’s a reason I didn’t buy a home inside the city. The skyscraper project, once an emblem of Amazon’s ambitions in Seattle’s urban core, now becomes a symbol of its uncertain future in its hometown. Story updated with Amazon’s confirmation. That could transform Seattle if it’s subdivided into smaller spaces and targets startups as tenants. There’s not many startups in Seattle. More likely to be occupied by Apple, google etc. Seattle council members are disgusting. They want more tax from amazon and they fly to NYC to badmouth about Amazon. Well, even if Amazon pulls out of NYC, they can still go to Bellevue instead of Seattle. Maybe in a few more years, they can expand to Redmond or Issaquah. 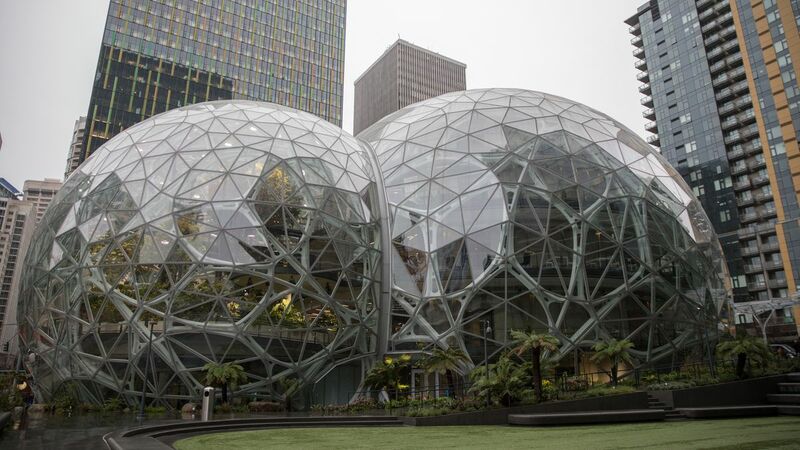 Seattle is dependent on Amazon. It wants to control Amazon and feels threatened by Amazon’s extramarital affairs with NYC, Virginia, Bellevue and others. But there are simply too many potential places enticing Amazon, not to mention the Hollywood lover. If Amazon moves all their employees out of Seattle, will Seattle become a ghost town? No judge will give Seattle any alimony for sure. Let the sutidity rule Seattle. Seattle tax revenue is up 40% while population is up 10%. Yet all the city council does is say it doesn’t have enough revenue. There are quite a few groups now that track the spending and report on waste or massive budget misses like the bicycle lanes. The city council is under huge pressure. Most are up for re-election, and there’s a growing movement to vote them all out. They are trying to make Amazon the enemy to distract from their own financial mismanagement. The public is onto it. This type of development is good since it forces businesses to go elsewhere, spreading the wealth, not just in certain cities. Tax is free revenue. Can I charge everyone 1cent tax every year? Amazon will pick Hollywood as HQ2. Good intuition. Btw, the Rainier building fails to meet Bozos expectation of resembling his pen is. A Seattle RE agent also mentioned Facebook’s expansion in Redmond. Is the Eastside blowing up? With the tech giant possibly cooling on Seattle and focusing its regional growth plans on the nearby city across Lake Washington, tech-powered real estate company Redfin predicts Amazon could set off a “real estate frenzy” in Bellevue. Already a more expensive city than Seattle, Bellevue could soon become inundated by younger buyers looking to live close to work, Redfin says, in addition to the well-heeled families that already like the city for its top-notch schools, mix of suburban and urban style and proximity to the mountains. Like the region as a whole, Bellevue’s housing market has cooled in recent months, with home prices dropping 6.2 percent in January over the prior year. However, there are signs that the downturn in the local housing market may only be a short-term blip, and with Amazon coming to town things could heat up fast. It’s only 17 mile drive and the bridge is toll free. Is the traffic better in the eastside? This is a move based on political policies. Seattle may change its policy. But in the past, tech has been growing moslty in the suburbs. Will urban politics drive employment growth to sunburns again? 520 is a toll bridge. Traffic on 405 is a nightmare. Bellevue has a 42-story tower and a bunch of others downtown. Expedia is moving from the east side to Seattle. I think they have 4,000 local employees. Facebook has an AR/VR facility Redmond.